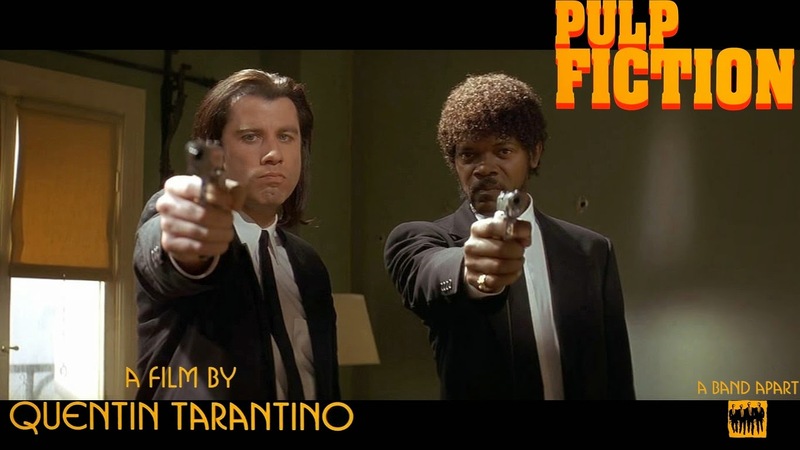 Pulp Fiction, hailed as one of the most iconic movies of all time, is a gangster-crime film of the early 90s, directed by Quentin Tarantino. The movie has gained worldwide acclaim for its witty dialogue, well thought out cinematography, and thousands of cultural and cinema references. The story focuses on the lives of four different criminals, and how each of their tales ultimately intertwine. From first glance, it may appear that the costuming in this movie is extremely simple, such as the black and white garb for the hit-men. Upon further inspection however, one can notice the small differences and clues that director Tarantino gives as a glance into the minds and personality traits of the chosen characters. These clues only further the fact that Tarantino puts a meticulous amount of detail in all his films. The costumes have grown to be timeless over the years as well, as the movie has gained a cult-status among followers. Using a non linear scheme of storytelling, Tarantino explains how two hit-men, the wife of their boss, and the man they set out to kill all come together in utter chaos. The story appears to be set in a city similar to Los Angeles, so the wardrobe isn’t too heavy and clunky at all. I will be analyzing the costumes of one of the two hitmen, Vincent Vega, the mobster’s wife Mia Wallace, and a two-bit drug dealer Lance. Vincent Vega belongs to the first story of the film, he and his partner Jules are set out to kill a professional boxer who has crossed the head gangster. 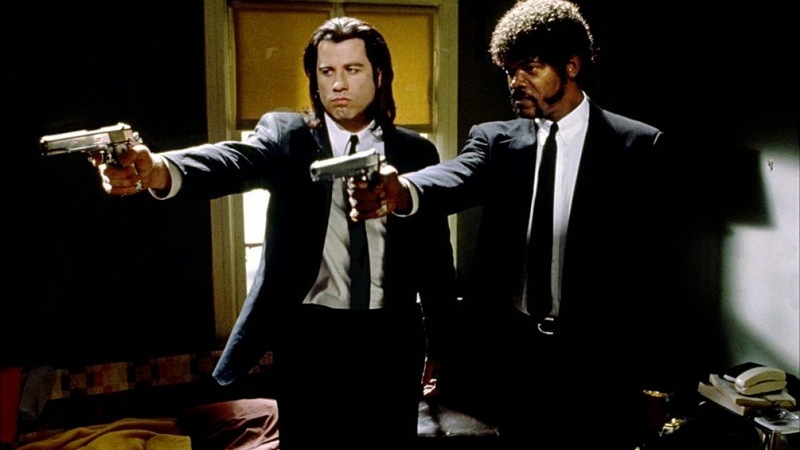 Interestingly enough, Vincent and Jules are a continuation of Tarantino’s first film, Reservoir Dogs, so the iconic black and white hit-man suits carry on into Pulp Fiction as well. Vincent seems to be roughly in his 30s, and as a hit-man probably makes a good amount of money. About him we know that he is well-travelled, since in the first scene of the movie he talks about his time spent in Europe, and how he is finally back in America now. During this first scene the audience gets a feel of Vincent’s personality: a bit unpredictable and nothing that really ties him down at all. Vincent and Jules wear extremely similar suits, but the difference is in the details added. Vincent, unlike Jules, wears his hear greasily slicked back, while Jules has his in a neatly-kept afro. Vincent is also seen at some point wearing a bolo tie, almost to signify that he’s a bit more of a cowboy,or unpredictable, unlike Jules who has his skinny black tie always on him, and a reverend’s collar since he’s the wiser of the two. Vincent also has an earring in his left ear, which shows he’s a bit more playful and less serious of the two. The biggest difference to differentiate the two however are the materials their suits are made of. 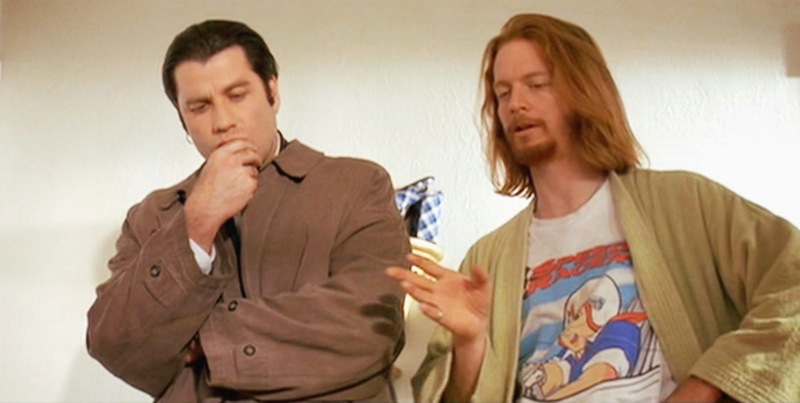 Tarantino wanted to emulate that Vincent by nature is messy, so he is given a linen which is easily wrinkled. Jules, the more organized of the two, has a crisp white button down shirt that has clearly been ironed. As the plot thickens and things get more dangerous, both hit-men end up in bloodied clothes. At one point they get so bad that they must change out of them. 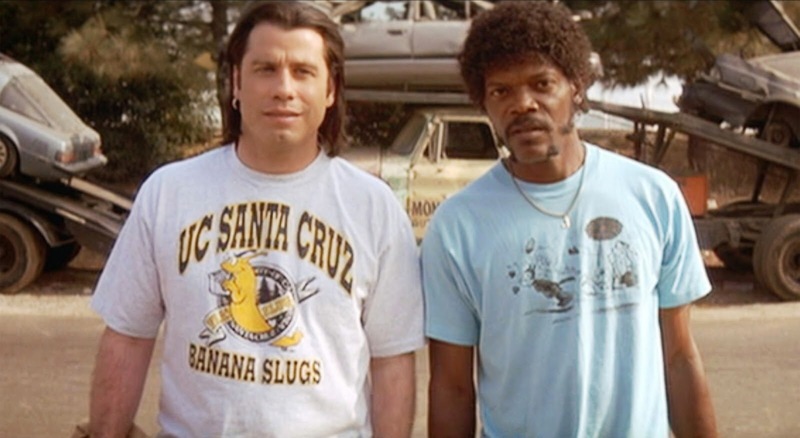 They drive to Jimmy’s house, who is Jules’ friend. Jimmy is a typical suburban man, and the clothes he gives them to change into reflect this and make an impact, especially with Vincent. Up until this point, Vincent has maintained a level of “cool” with his wardrobe. He puts on neon blue shorts and a varsity t-shirt, and almost instantly his coolness diminishes. Jimmy even points out, “[he] looks like a dork”. It is at this point that we see Vince’s facade is completely gone, and we see him for who he really is underneath his armour of a suit. 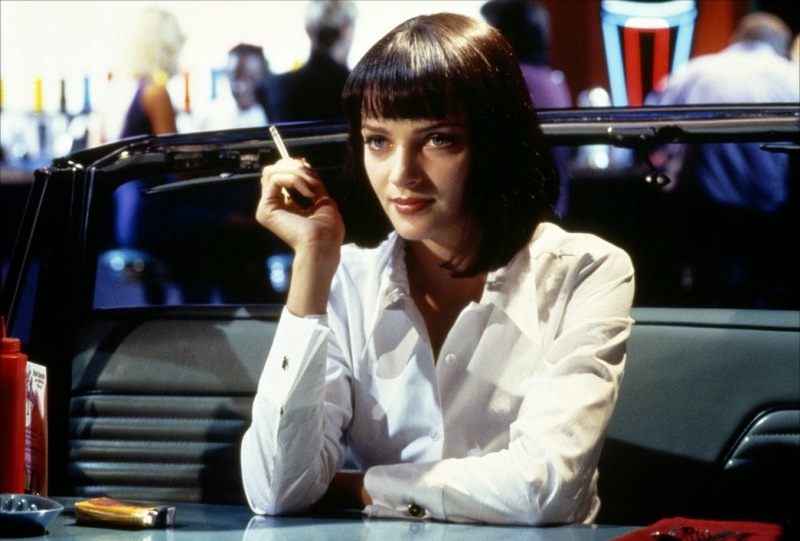 The supporting character I chose for analysis is the lovely Mia Wallace, the mobster’s wife that Vincent is set to take out on a “date” and look after while his boss is out of town. The outing starts off well, with Vincent taking Mia to her restaurant of choosing, “Jack Rabbit Slims”. The diner is loitered with 50s nostalgia, and the two participate in a dance competition. Unfortunately the night goes awry with Mia mistaking Vincent’s heroin for cocaine, and Vincent is left with the task with avoiding a fatal overdose. Looking at Mia’s character, you notice she is the female version of these hit-men, wearing the same colour scheme to fit into this gangster world. She as well looks to be in her early 30s, and of high social status since her husband is at the head of a gang. Mia wears a loose white shirt, not buttoned up all the way, and black capri pants. On her feet she wears gold ballet slippers. She looks extremely well-kept, but her unbuttoned collar shows she has a bit of a fun side. The sleek black bob she sports even adds to her mystique, and even Vincent isn’t immune to her charm. 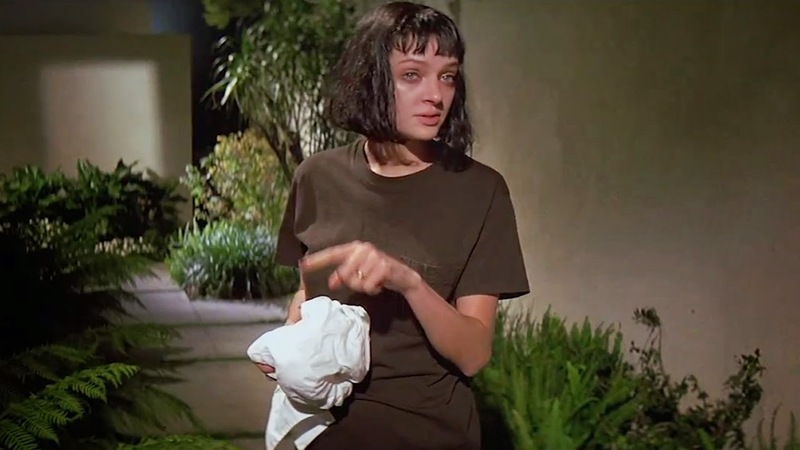 Interestingly enough, Mia also has to shed her bloodied gangster clothes after her overdose, and sport a baggy t-shirt, completely diminishing her air of “coolness” as well. Lance, a bit character in the movie, is Vincent’s drug dealer friend, who gives Mia an adrenaline shot during her overdose. Used as a bit of comic relief, Lance is an extremely dishevelled man who never leaves his household, since he’s constantly inside selling drugs to his customers. Looking at Lance you would assume he is in his late 20s/early 30s, with long matty hair (quite possibly almost sporting dreadlocks), and an unshaven face. His house is extremely cluttered and messy, reflecting his personality as well. He belongs to a lower socio-economic class, clearly dealing drugs as his means to get by. The only outfit Lance is ever seen in is a gross, puke-green bathrobe, and under it a kitschy t-shirt with a japanese cartoon character on it. He sports a baggy pair of striped boxers underneath, and ratty old sandals. This is the perfect outfit that explains Lance’s personality, something that he threw on without paying any attention to it, and has quite possibly been wearing the sane thing for quite some time without washing it, as seen by the dirty bathrobe. At one point in the movie, the audience sees lance sitting in front of the tv, with a bowl of cereal resting on him. The outfit adds so much to the laziness of Lance, that without it the scene wouldn’t look as disgusting. 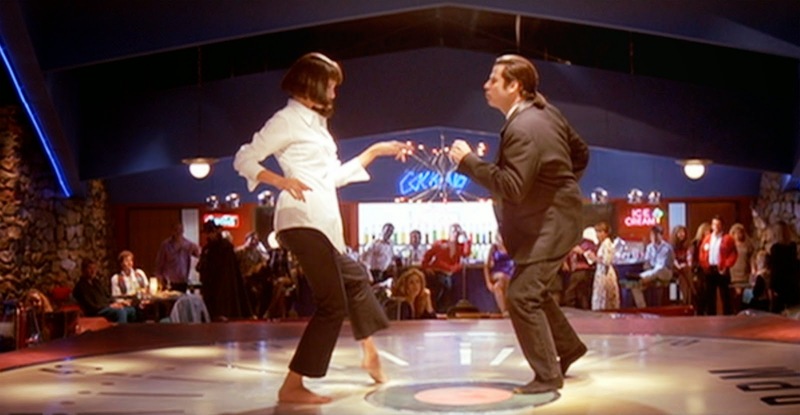 Pulp Fiction will forever remain a cult classic in cinema, and the intricate care Tarantino takes to develop these characters shows through every single one of their fashion choices. Have to watch this again soon! I have to shamefully admit that I have yet to watch this movie but I made a promise to myself that I will before end of this year! fantastic review! loved this film!